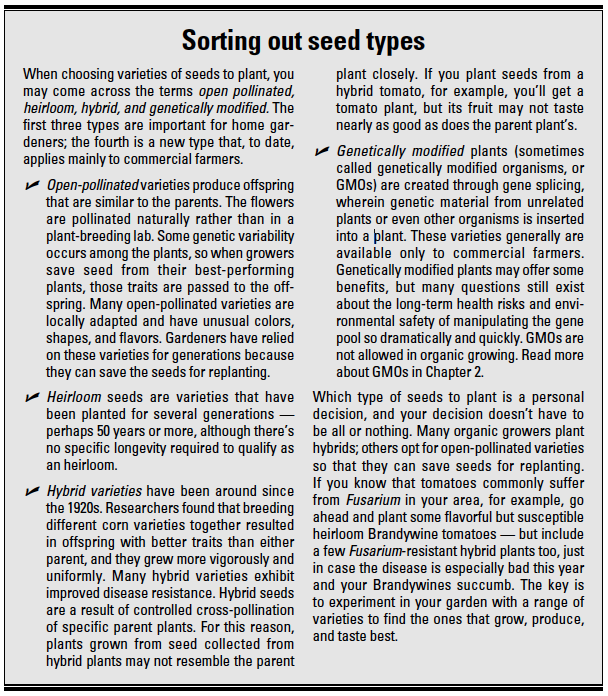 What’s the Difference Between Genetically Modified, Heirloom, Hybrid, Non-Hybrid, and Open Pollinated Seeds? What’s the difference between an heirloom and hybrid tomato? Are open-pollinated seeds good or bad? These are all questions that you have asked me. You already have reputable sources to buy your seeds. Here’s a simple explanation of the different types of seeds. Genetically modified seeds (GM) have been genetically altered/engineered in a lab somewhere and have had specific changes introduced into their DNA by applying genetic engineering techniques. The interesting thing about GMO seeds is that gardeners are not able to save the seeds after harvest and must buy seed every year from large seed corporations, such as Monsanto. They are typically open to debate, but some would argue that any seed that has been passed down for generations, usually for 50+ years, is called an heirloom seed. Heirloom seeds are also non-hybrid and open-pollinated. When someone talks about a hybrid seed variety it typically means the seed has been cross-bred with another variety to try and enhance its results. For example, one might try and cross breed it with another variety that has disease resistance. The problem with hybrid seeds is that when a gardener tries to save the seeds from that variety it typically reverts back to its wild parent and will never really know what will grow. On the other hand, non-hybrid seeds have not been ‘crossed’ with any other strain. Non-Hybrid seeds are the most natural and purest form of seed anyone can find. Anyone can save the seeds after each harvest and be assured they will grow the same every time. 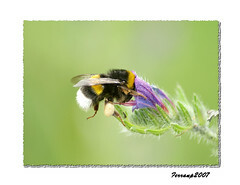 Means the plants are pollinated by insects, bees, birds, wind, and other natural ways. The good thing with open-pollinated plants is that it will continue to reproduce new generations of those plants. Help spread the knowledge by sharing this post with friends and family. Then in the comments below, let me know what kind of seeds you have started.